As with every year, I regret not putting more time in on my couch or at the theater watching new movies. Until the second half of the year, I was under the impression we were in a very weak year for movies, until I started my scramble to catch up. While I've still got many flicks I've yet to see for the year (Foxcatcher, Whiplash, Goodbye to Language, Winter Kill, Cold in July, Housebound and many more), below is the best of what I did manage to catch up with. Easily the biggest surprise of 2014 for me, I never expected the combination of Doug Liman and Tom Cruise to yield something this exciting and fresh. Having seen Cruise in MI4, I wasn't surprised he still had the ability at his age to be a believable action star, but I was surprised that the novelty of the Live/Die/Repeat videogame aspect of the plot was mined so effectively in service of its many plot twists. Although a little of the shine wore off on a second viewing, I'm still vastly impressed by some of the sequences in Chris Nolan's ode to Kubrick's 2001 and Dust Bowl Americana sentimentalism. Carried largely by another great performance from Matthew McConaughey and an admirably large-scale effects budget, the script does venture into incredulity from time to time, but not enough to greatly hinder the experience of seeing this projected on film on a huge screen. A great documentary in a year of several, this one tops the rest of them for me based on the heart of its central protagonist. While it does a great job to chronicle the history of this doomed film project, and does even more to help you imagine what kind of amazing the end result could be, for me the greatest joy in this film is just seeing how the whole process of the film falling apart was not viewed as a failure by Jodorowsky, but rather an opportunity for other artists to develop into forces of their own. If you're ever doubting the transcendent power of art, this is the documentary to help you reaffirm your faith. It's rare for modern comedies to make a lasting impression on me, but then again it's rare for the central theme of a comedy to be a woman struggling with her choice to abort an unwanted pregnancy. Jenny Slate's breakthrough performance is something every other podcast is talking about (as they're all hosted by standing up comedians), but it's actually something worth talking about. Rarely does a film tackle a serious subject like this without hitting all of the contrived, formulaic beats already established, but Obvious Child manages to pull that off and be funny while doing so. A beautiful little self-contained weird odyssey of a film, I was entranced by the way E.L. Katz's directorial debut kept elevating the stakes in a way that was simultaneously outlandish and believable, while balancing an unusual tone of comedy and true menace. This is another film in which a simple premise is really exploited to its full extent, and in this case, for minimal resources. Even smaller in scope than Cheap Thrills, here is a movie that was filmed for "basically free" at the home of the director and with a cast of actor friends over a few nights. Based on any scale, the results here are impressive, but based on that scale I'm a little bit blown away by James Ward Byrkit, another first time director, and his sense of economy. 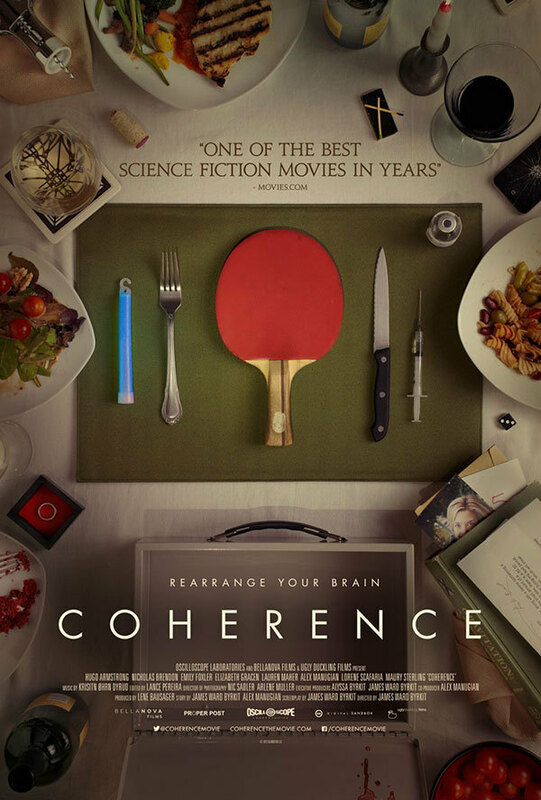 This is an eye-openingly existential sci-fi thriller with some genuinely scary moments, and one not worth spoiling plot-wise. Understated and realistic in its approach to the violent outbursts the central protagonist often finds himself thrust into, this crime thriller proves again that alternative funding methods (ie, Kickstarter) can provide a great avenue for legitimately good movies to be made, even if it also means wading through a bunch of your stoner high-school friends Facebook invitations to fund their Reggae/Jazz/Doo-wop fusion record. Stylized direction, a great central performance, and an engaging revenge tale meld together for something truly memorable. This movie's sound is also killer (and features absolutely zero of your buddy's doo-wop). This year's surrealist breakout, I tend to think this film would have gotten none of the press it has without the involvement of one ScarJo, despite its many other merits. That said, I'm pleased she was able to bring a higher profile to this movie, which has a uniquely detached and cool approach to a Species-like Alien femme fatale plot. The inclusion of Lynchian elements such as a real-life Elephant Man, engaged in a love scene with our lead, really highlight the bold choices she's been making lately (even when they don't pan out exactly (looking at you, Lucy)). What the hell is going on with first-time directors in 2014? Dan Gilroy knocks it out of the park here with his debut, a dark update on Chinatown and a half dozen other LA neo-noirs, with elements of Network and other social commentary dramas. Tonally perfect, with razor-sharp cynicism and a Patrick Bateman-esque turn by Jake Gyllenhaal as a sociopathic overachiever emblematic of the modern American myth of success over compassion. And the film's strict adherence to real geography almost make me think Gilroy had seen the complaints registered in the documentary Los Angeles Plays Itself (now on Netflix!) and set up to right the geographic wrongs instilled in most LA-set movies. It's hard to say much about this movie that hasn't already been said, but that won't be enough to stop me (or many others in the future). Richard Linklater's latest is a triumph of course in terms of technical ambition, but the end result is just too good to believe, based on any shooting timetable. Effortless, honest, engaging, and enlightening, this film is a culmination of all of the good traits I've observed in his other work into just about the most ideal package I think he'd be able to deliver. Although, as he surprised me so much with this picture, I'll be sure to leave room open for another surprise. In the meantime, I can't think of another movie from 2014 I'm more excited to rewatch.